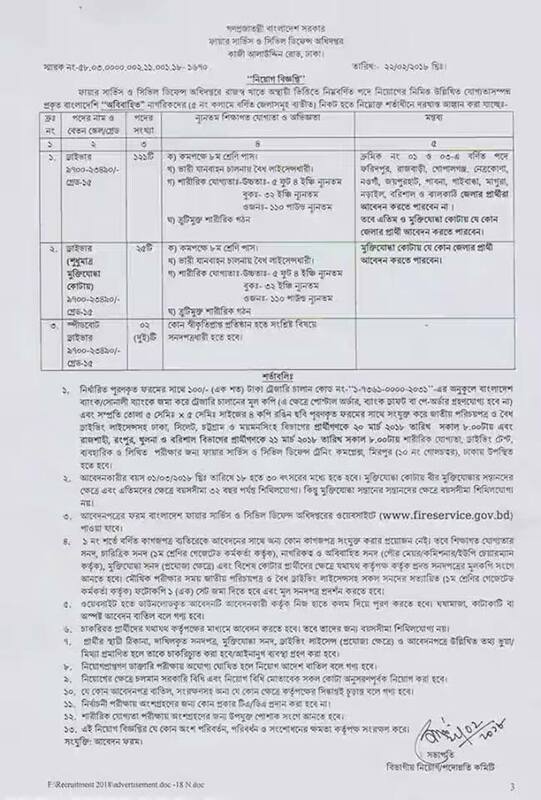 Bangladesh Fire Service and Civil Defense fireservice published New job vacancy Notice at www.fireservice.gov.bd. fire service Job Circular offer total New vacancy in this post.Eight,SSC,HSC And Graduate Student also apply this fire service govt circular 2018. Educational Qualification: Need to pass HSC, Hons and Equivalent examination. Age Limit: Age has to be at least 18 years in upcoming April 2017 and up to 22 years for all people and quota available 18-32 years. Application Last Date : 20th March 2018.